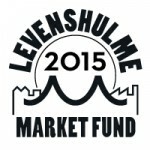 This March we launched our first ever funding scheme with a pot of £15,000 that was shared between nine projects from Levenshulme residents who were chomping at the bit to do something new that coincided with our social aims – exploring new ideas for our high street or creating or growing their own retail enterprises. All our winners have now received their funding and have been beavering away getting their projects off the ground over the last six months and have agreed to share their progress with us…and you! So over the next three weeks we will share updates from each of our winning projects on what they have been up to since March and how they have spent their funding so far. Since I won funding six months ago, my business gas gone from strength to strength. Not only because of funding, but due to such big community involvement, people recognised that Levenshulme has a trader that can help with their upholstery and refurbishment needs. My Branding on uniforms has made it easy for people to recognise who I am, and has helped me stand out when I’v had a stall at Levenshulme Market. I purchased business cards, but had a brilliant tip from a fellow trader, to invest in a stamp with my logo and make my own business cards on recycled card. Helping to cut down on business costs. The tools I purchased have been fantastic with helping me work with pallets to make crates and boxes, that I’ll be launching in September. 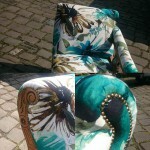 The best thing to come from the funding was being able to expand my knowledge in upholstery. I’ll be attending at the end of August, but I’ve had “guidance” on a few projects in preparation for me to attend. This has helped me to complete a chaise lounge for a lovely family as a feature in their master bedroom. Without the help and support of the funding, I have no doubt that my business wouldn’t have grown as much as it has in the last 6 months.